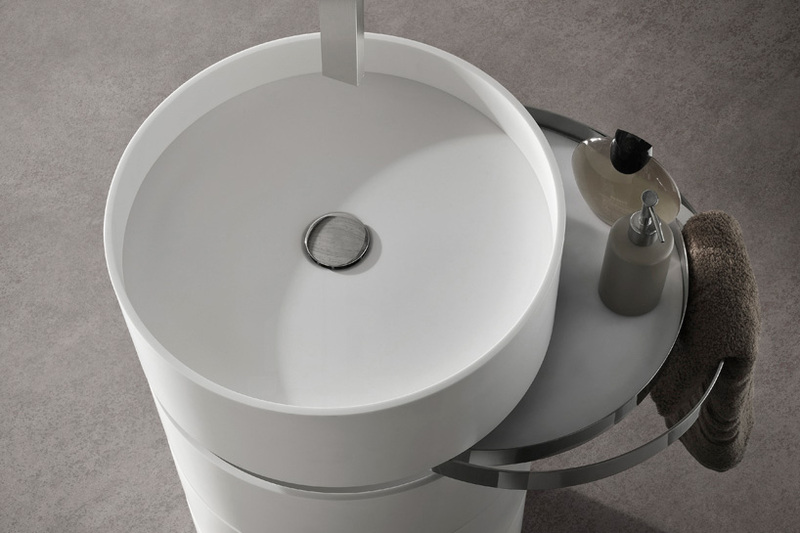 Industrial designer Alessandro Isola has released its latest project called “Orbit sink”. 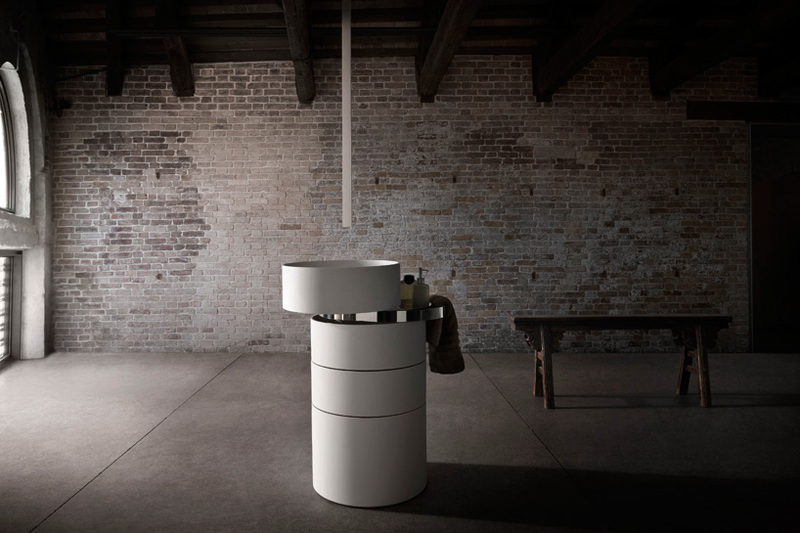 The project presents its skillfully crafted, cool white corian sections, as a neatly stacked, simple cylinder. An opposing disorderly aesthetic is soon created as you swivel each circular compartment around a metal pivot point. 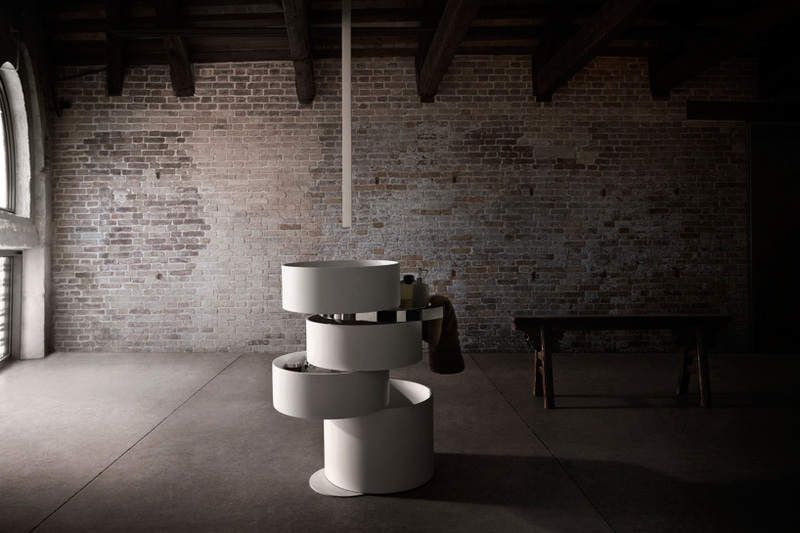 This invisible alloy spine also cleverly conceals the drainage system, enabling positioning away from a wall. 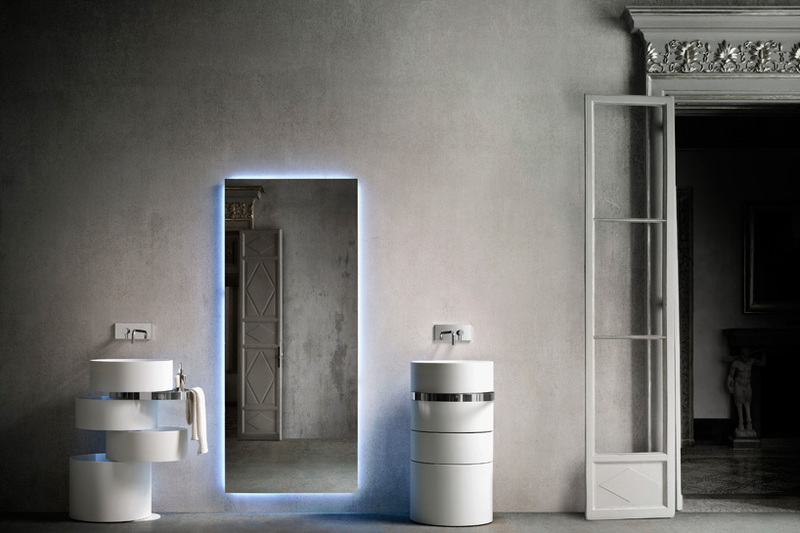 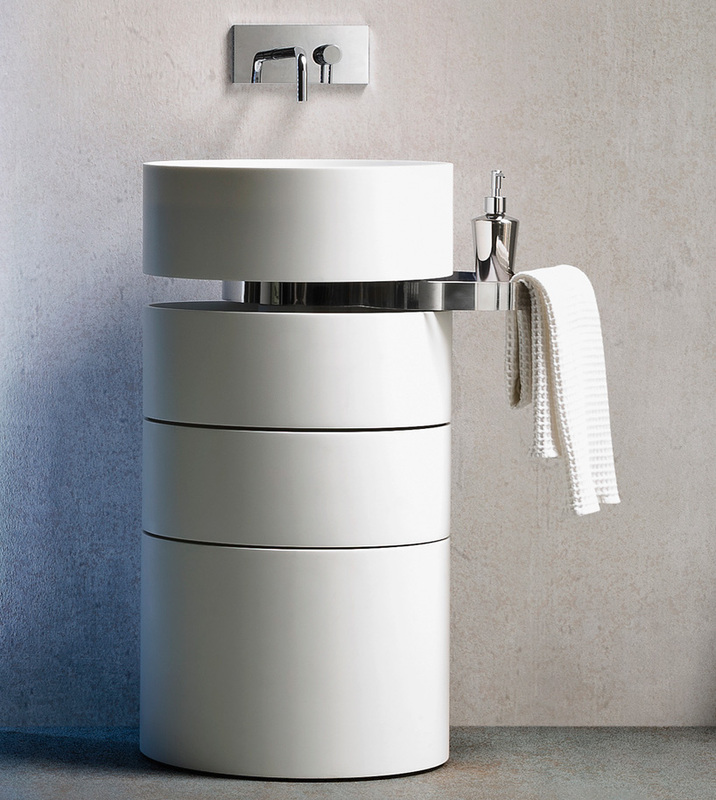 Beneath the top container sits a contrasting chrome ring that functions as a towel rail and soap tray surface. 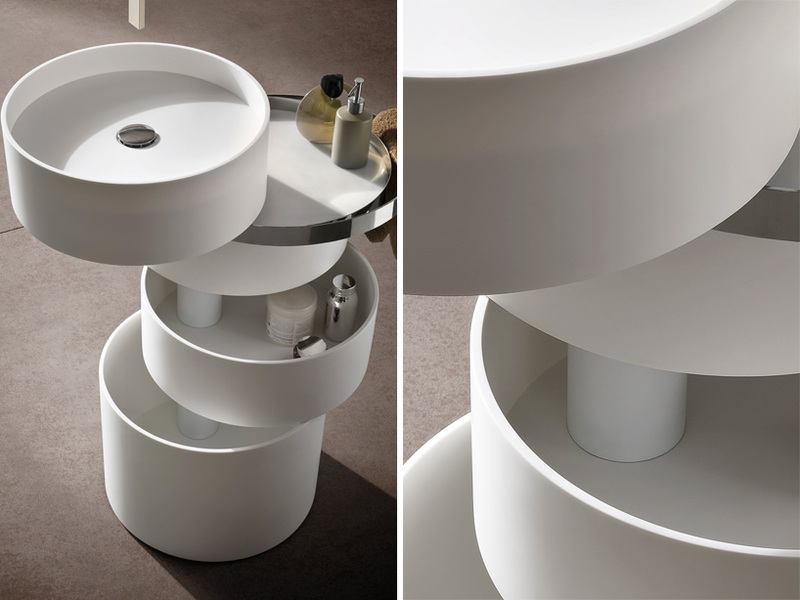 The three rotating pieces beneath, each serve as storage volumes. 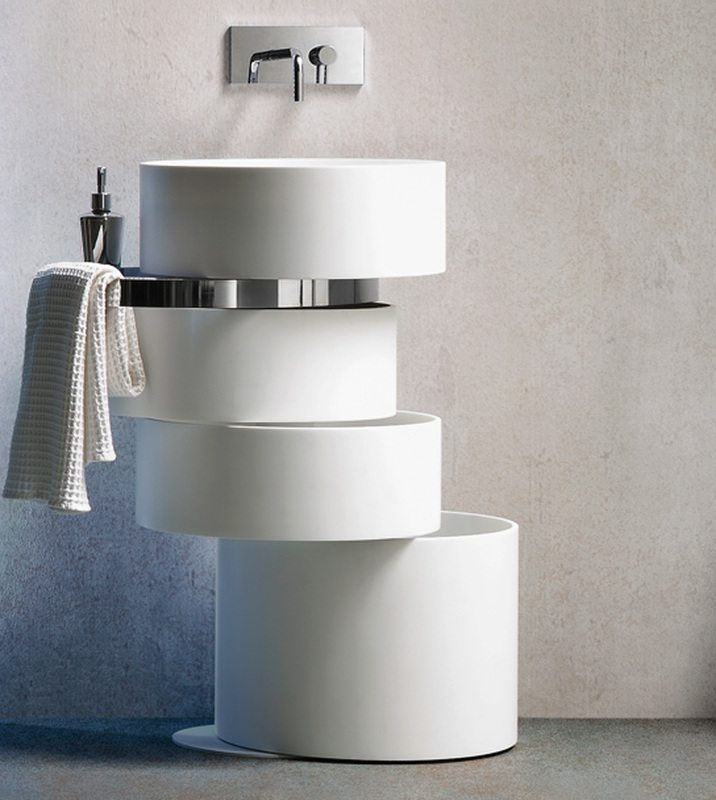 The option to display pure uniformity, or layering circles that move beyond a natural axis of balance, makes the sink an interestingly irregular bathroom focal point.